If you’re tired of seeing screaming mobs marching in protest of one thing or another, and tired of watching television pundits yelling at each other and speaking so offensively that you change the channel… then join us when we visit with a couple of radio hosts who think they have found an answer to the lack of civility in dialogues over political and other controversial topics. Joining host Dennis McCUISTION is Jim Patrick, CEO of Millennium Productions Inc. and Co-host of Men in the Middle Radio. Jim has been a political scientist and veteran broadcaster now going on 50 years. His specialty is the analysis of domestic and global political and socio- economic trends. 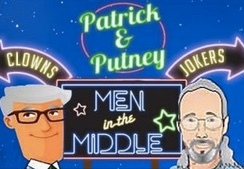 Men in the Middle is a Broadcast/Podcast Radio show on current events and politics from the middle of American opinion. It cuts through the spin of mainstream media and can be listened to on iTunes, Google Play, Sticher, SoundCloud, WECS 90.1 FM and KBUR 1490 AM/99.3 FM. We’d like to suggest each of us personally really examine how we discuss controversial topics and see if we can start by finding out how someone with a different opinion really got to their position. Then, and only then, can we understand where they are coming from. 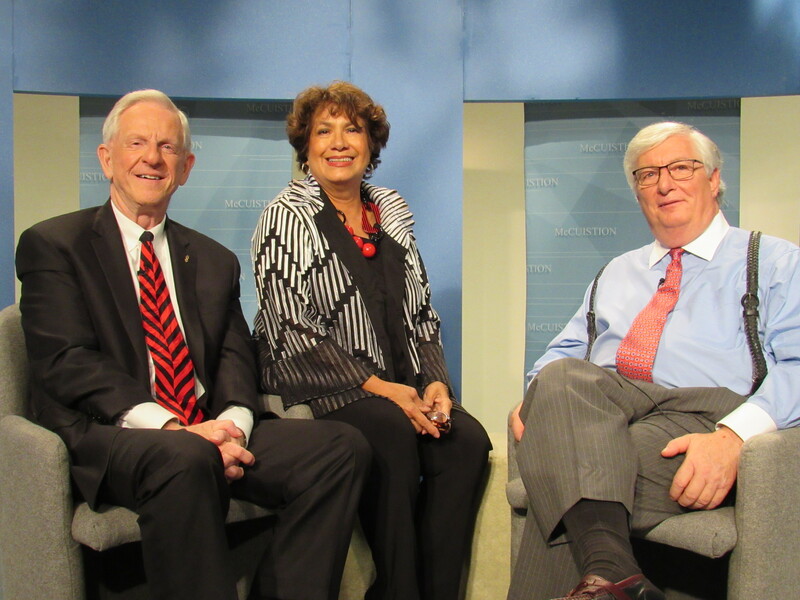 Tune in to watch intelligent people discuss important topics without being disrespectful. The funding which has kept us on the air for 28 years comes from grantors and viewers just like you. Thank you for your continued support.